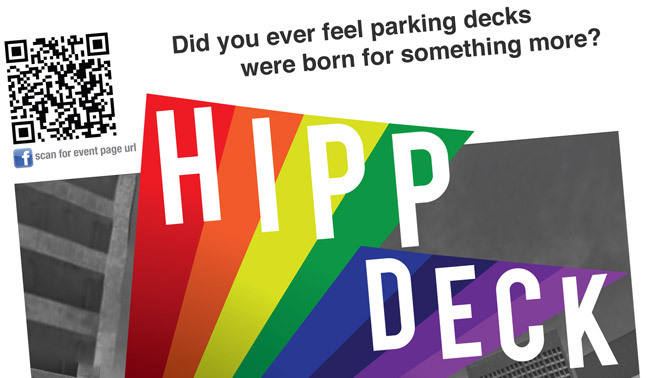 The Hipp Deck is a pop-up experiment that will transform the upper level of the 740 Euclid parking garage into an open-air live performance venue and public green space for one unforgettable night. The parking garage is on the site of the former Hippodrome Theater, a nationally renowned venue, demolished in 1981. The event will include live music performances, engaging art installations and a book release party for Cleveland Stories: true until proven otherwise. The large inflatable suit, Make it Look Rich, will be install on the top of the parking garage. There will be plenty of opportunity for small inflatable suit appearances as well.